Locally-sourced restaurants, original live music and organic coffee shops are steps away from fascinating museums, impressive art galleries, trendy fashion boutiques and funky antique stores in Milledgeville, Georgia. Whether you want to dine on haute cuisine and sip champagne in a plush wine cellar at Aubri Lane’s or order a round of craft beers and wood-fired pizza at The Brick, Milledgeville has endless choices of dining guaranteed to please everyone. ome enjoy the southern charm of of Milledgeville, Georgia with Amici Italian Café. Amici’s has been serving up fresh ingredients and fun times for 22 years! Amici’s food is made fresh every day with the finest quality market products available, and it’s made to order. You can dine inside or outside with bars that always try to have your favorite game on, and where the famous, award-winning wings and pizza are always hot! 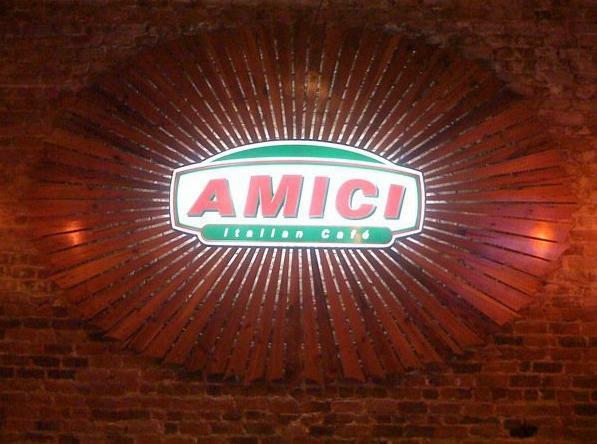 Amici’s offers some of the best live entertainment and chef specials around. If you love Pad Thai Curry, Massaman or Crab Rangoon you’ve got only one choice in the ‘Ville; Kai Thai. Customer’s we dined with said that Kai Thai is hands down, the best Thai food within a 50 mile radius. Kai Thai is an excellent addition to Milledgeville’s expanding restaurant scene and this little gem offers lunch and dinner with fresh ingredients prepared with care at a reasonable price point with nice ambiance and really good service. If you’re a foodie that loves history, then you will fall in love with the building that is now Aubri Lane's. The hammered tin ceiling and vault are original and are on the National Registry List. Much thought and time has been put into making this most beautiful landmark. Located in beautiful, historic downtown Milledgeville, Aubri Lane's is the destination for fine Contemporary Southern Cuisine. At Aubri Lane's, every dish is created using only the freshest, finest ingredients coupled with the choicest meats and seafood, freshest and organic vegetables, and delectable desserts. It is truly fresh from the farm to the table. This family owned business is built on traditional family values with delicious Italian food, quality service and a friendly, neighborhood atmosphere. This Italian eatery offers affordable pizzas, calzones, spaghetti and meatballs and shrimp scampi just to name a few. BiBa's Italian Restaurant also offers a full-bar with wine, beer and delicious cocktails. We highly recommend Biba’s garlic rolls, baked fresh daily with a secret blend of seasoning that is second to none. 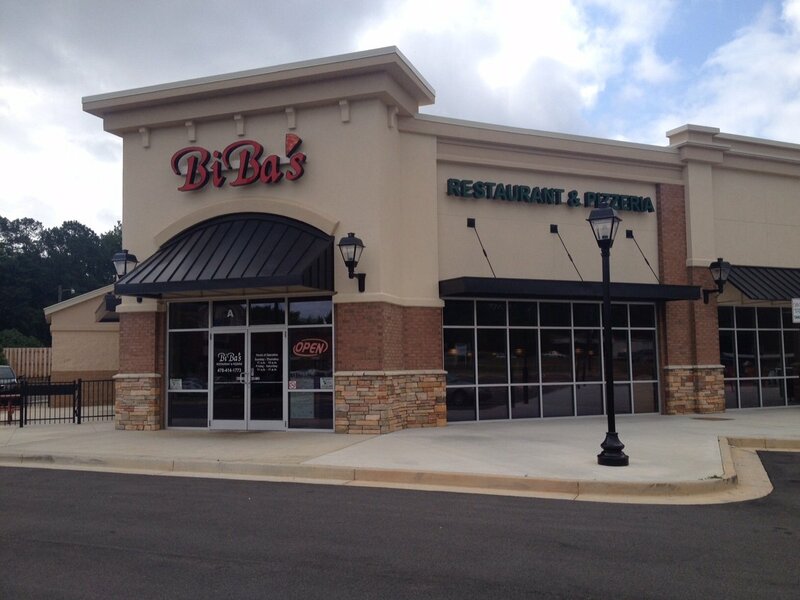 BiBa’s chefs spend the days making everything from fettuccine Alfredo to Eggplant Parmigiana subs. Pizzas and calzones bake to a rich, golden brown beneath 20 different toppings, such as meatballs, roasted red peppers, and eggplant. 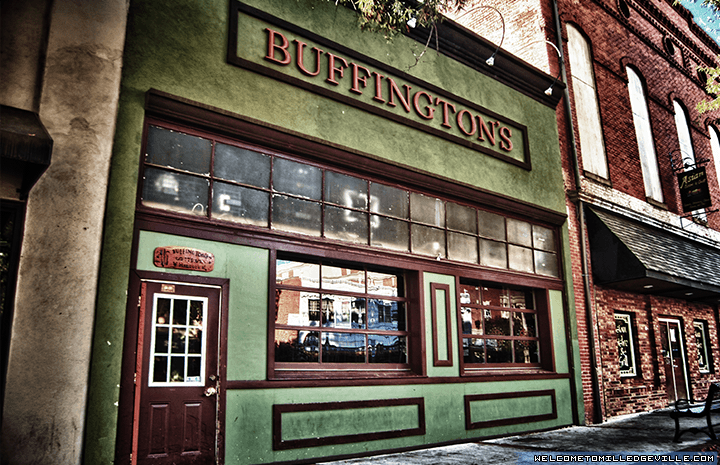 Established in 1999, Buffington's has always been a favorite spot in Milledgeville to grab a bite and hang out with friends and family. A locally owned and operated bar and grill that focuses on great customer service and delicious food that features over 50 bottled craft beers for your enjoyment. Buffington’s menu features more than just burgers and fries. With their expanded menu, Buffington’s offers up some diversity with shrimp and grits, veggie burgers, soups and a great kids menu. Buffington's is a dining experience to be remembered and will make you come back again and again! Home of Brick Oven Pizza, Pasta, Calzones, Salads, Sandwiches, Wings and Nachos, The Brick offers up great atmosphere with good people and good times. Only at The Brick can you and your family enjoy a Friday night dinner along with amazing card tricks, disappearing coins, and balloon animals with local celebrity, Mark the Magic Man.